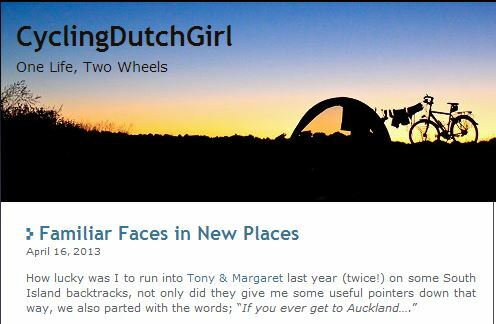 Cycling Dutch Girl – Go Bicycle Touring! Mirjam is truly living the dream and the unfolding of her adventures is fascinating to follow. Six years on, Mirjam has biked through Europe, pedaled across Asia and spent several years exploring Australia’s backroads. She’s currently in New Zealand and will be heading off to Japan this June to continue her two wheeled adventure. 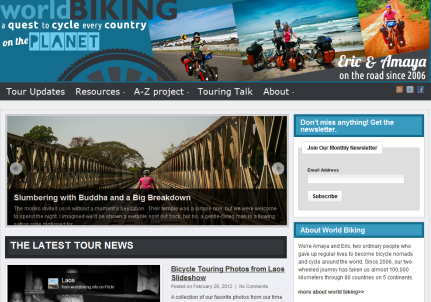 This bicycle touring blog is[highlight] chock full of inspiring photos[/highlight] and [highlight]entertaining tales[/highlight] from the road. Follow along at Cycling Dutch Girl.